Time is certainly running out faster for the modern people, who are usually so busy that their life is permanently on the run. This is why various gadgets for men who are on the run have been developed; these are meant at offering as many functions as possible while keeping the size as reduced as possible. 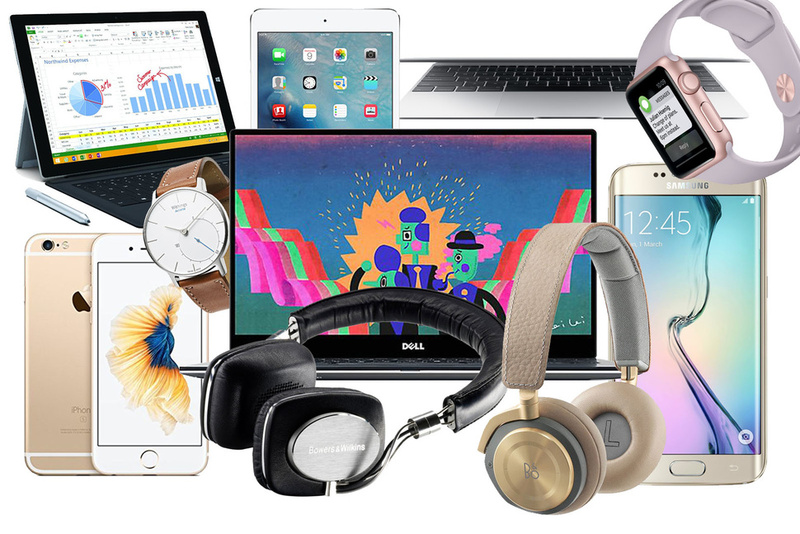 With an accent placed on portability, these items might come in handy for you, so we have reviewed a list of 7 products that you might find interesting, to help you decide what to buy. The Swiss pocket knife is one of the most popular devices used by handymen, and almost everyone owns one. 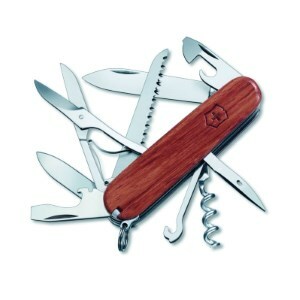 Victorinox is one of the lead manufacturers, and their products are known for high quality and long lifetime. Working as a multi-tool and knife in the same time, it contains 15 different tips and tools for everyday adventures: a blade, corkscrew, bottle opener, screwdriver and other items that offer you versatility and functionality. Made out of stainless steel and hardwood, it is guaranteed to last long and be reliable and durable. The compact design offers portability and turns it into a perfect knife for outdoor activities. Made in Switzerland, it comes with a lifetime guarantee against material and design defects. If you are a DIY enthusiast, you surely know by now how important it is to keep all your tools, screws, nails and drill bits near you while working. The magnetic wristband enables you to do just that, without having to take the whole toolbox with you. 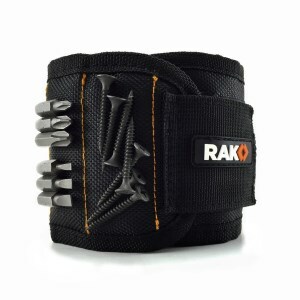 Featuring ten strong magnets embedded in the fabric, the wristband enables you to hold screws, nails, washers and other necessary items nearby. It is a great time saver since you no longer risk dropping the nails or drill bits while working. In case you are not a DIY enthusiast, you can offer this as a gift to your father or any other friend who enjoys repairing and building things. It is adjustable; a one-size fits all, so this band is for everyone regardless of their age or hand size. Multi-tools are popular amongst men who like solving everything by themselves, as they are extremely portable and versatile, offering you a solution for many problems that can be encountered around the house. One of the most important aspects of multi-tools is the number of different things carried in the package. 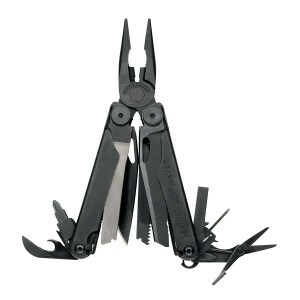 This product has large knives, wire cutters, all-locking blades, pliers, screwdrivers, scissors and can openers, for a total of 17 different tools each for a different purpose. It can be operated with only one hand, so it is practical, and with the compact size and lightweight design it can be kept inside a pocket or in the car, so it is always available. It is accompanied by a warranty and a Made in the USA certificate. Many accidents that result in permanent injury occur as a result of inadequate protection while carrying out different tasks in or around your home. This is why having cut resistant gloves is important for all men who like repairing and fixing things themselves. These gloves have guaranteed durability thanks to the use of cut-resistant material that is almost four times stronger than common leather. They have a system that offers a tight fit and superior grip so you will not drop your knife or cutting tool while using them, even in humid environments. Great for working with slicers, knives or peelers, the product is machine washable and food safe, so it can be used while preparing dinner. 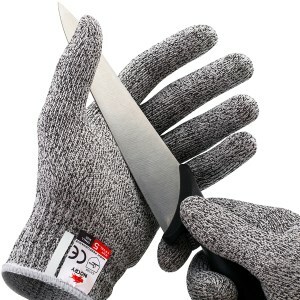 A great item for DIY enthusiasts, these gloves should not be missing from your toolbox. 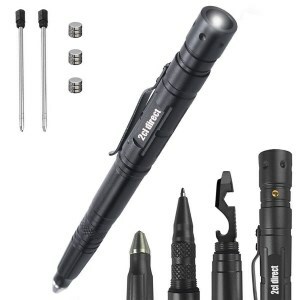 Being able to get yourself out of dangerous situations is important in places with higher crime rates, and the tactical self-defense pen tool offers you extra protection and portability in a lightweight, compact shell. It features a tip for glass breaking, stable thumb grip and a tool that can be used as a bottle opener, polisher or blade. Made out of aluminum, this product has a reduced weight but great functionality. It can be used to write down things, but it has a tungsten tip that allows you to shatter glass without breaking the pen. Featuring a flashlight and a special multi-purpose tip, it is great for camping, hiking, and other outdoor activities, and can be used indoors too. Staying fit is important these days, where one cannot rely solely on food and medicine to preserve their health condition. Fitness wristbands have become extremely popular as a result of this necessity. Featuring continuous heart rate tracking, simplified workout zones and a LED display showing calls, texts and calendar notifications, this is one of the best products available for sale. 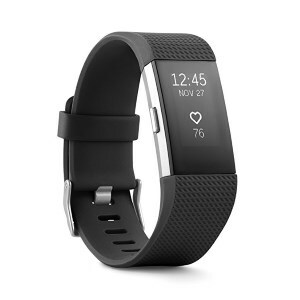 Designed by Fitbit, the wristband can be connected wirelessly to your phone and synced with it, so notifications are displayed on the LED screen. The workout is maximized by heart rate zones (Fat Burn, Cardio, and Peak), while your calorie burn is carefully measured throughout the day by the PurePulse system. The wristband tracks all-day activities such as steps, floors climbed and distance, offering you excellent insight into your fitness level and ways of improvement. Since most adults tend to live on the run, carrying their favorite music with them as they go from home to work or shopping became pretty important. The many portable music players available are, however, useless without a great headset. This product is appreciated for the clear sound and powerful bass. Designed by Sony, their quality is guaranteed by the brand. 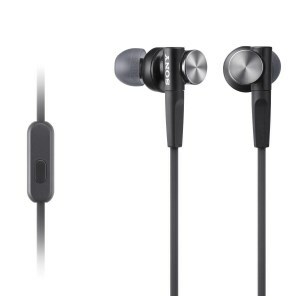 Featuring 12 millimeters dome type driver units, they deliver deep bass and clear sound. A microphone and integrated playback control are also integrated, and the hybrid silicone earbuds offer a secure and comfortable fit. Their special magnets offer powerful sound while keeping the weight as reduced as possible. The Sony extra bass headset is perfect for those on the run and can be used pretty much anywhere. Although the century of speed is said to have passed making way for the century of information, this rarely appears to be the case judging by the hassle and bustle of our day-to-day lives. If he is not stuck in a cubicle, today’s working man is always on the run, meeting new clients, taking lunches, organizing presentations and attend conferences. This is especially true for those who work in sales and whose total number of daily excursions can very well reach into the two digits. Other jobs that keep you constantly on the move, such as delivery man or truck driver might not be as hectic but impose a similar set of requirements for any assisting gadgets. Due to the space limitations imposed by the vehicle used and the need to carry certain items to adequately do the job while on foot, portability must always come first, as well as the ability to find your way to wherever you need to go. Resilience, which translates in this case to redundancy (more on this below) is also to be taken into account. We’ve taken a look through the best men’s gadgets reviews to be found online and narrowed down a few criteria by which today’s on the move professional should guide himself in choosing the right tool for the job. Everything you’ll be using you’ll need to carry with you. Weight might not be such an important factor as it is for women, but the volume of the item should be as small as possible. For better or worse, the slick briefcase remains the standard carrying accessory for the business suit, despite later day young snazzy dressers opting for more casual carry bags. Luckily, the problem of fitting a laptop inside it alongside paperwork, phones, and other essentials can be said to be a thing of the past. Newer laptop computers are as thin as manila envelopes and have a small enough surface area to fit inside the most discrete briefcase with room to spare. They also look quite elegant and take little space on a table when in use. As their name suggests, they can comfortably sit on the user’s lap, as long as precautions are being taken to prevent overheating. For the non-professional man on the move, a laptop is best carried in one of the outside pockets of a backpack (if security is not an issue). Only use the main compartment if there’s soft material to cushion the device with since it’s small and light enough to move around as the user walks. Carrying a GPS around while on the move should be a given. The size isn’t all that important for vehicle mounted units, the thing to look for here is specific functionality. For example, a feature that plots the route for large vehicles would prove to be of great aid for truck or RV drivers. Once out of the car a small, compact unit will more than prove its worth. There are a lot of apps that provide GPS services for smartphones and these work well enough inside cities or if your needs aren’t too stringent. Specialized GPS’ for bikes can also be used to plot convenient routes for those traveling on two wheels or on foot. They are usually of a heavy duty build, are easy to read under bright light conditions and small enough to fit in a pocket. If the journey takes you through some poorly lit places it will prove useful to have a couple of LED gadgets at the ready. Modern LED flashlights are often small enough to be worn on a keychain and offer a surprising degree of performance for their size. Really, there’s no excuse for not owning one. There’s a choice to be made between bulky, durable items and sleeker, more portable ones that might not handle being dropped on the pavement very well. 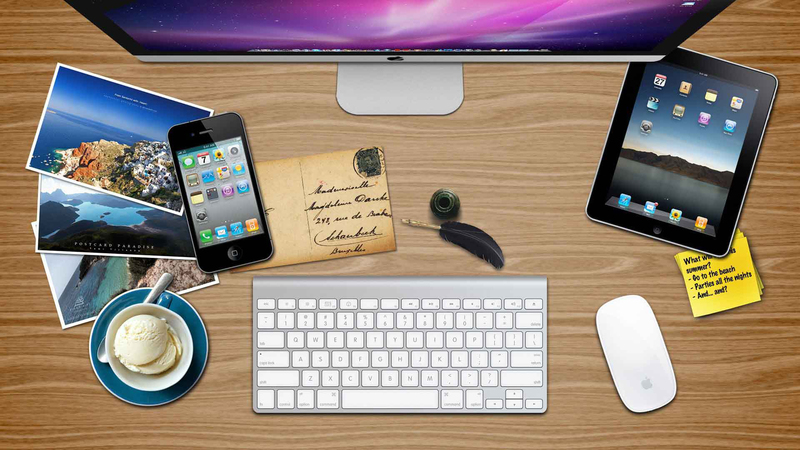 A man on the go needs both resistance and portability from his gadgets since often there won’t be another computer readily available like he would have in an office, if his main laptop goes bust. We’ve already explained why small size is important. The best way to circumvent this would be by employing the principle of redundancy — which is basically what aeronautical engineers are going for when they need functional resilience from a lightweight structure. Make sure that you have multiple devices that can be employed to do the same job and can take over if one of them breaks down. For example, a smartphone with a large display and a relatively functional touchscreen keyboard can take on the job of sending emails or browsing the internet if the laptop becomes inoperable. Constantly moving around will diminish anyone’s energy supplies and a fast and convenient way to replenish them is always needed. High energy snacks are a given, but so are more direct legal stimulants, like coffee or energy drinks. Energy drinks might not be the best idea for everybody since besides having an ungodly amount of sugar content and a taste reminiscent of cheap plastic they’re seen as rather ignoble, being associated with partying teenagers and gamers. Coffee taste can vary by a lot and the best way to assure its quality would be home brewing your own roast. French roast machines are considered to be some of the best gadgets for men available for sale since they allow for the darkest and strongest cups of coffee to be brewed. Understandably, they also make for great gadgets for man caves.